The Doomlike Dungeons Mod is a new mod available for the latest patch of Minecraft 1.7.10 and 1.8. The mod is currently bug-free, is easy to install and can be compatible with both Minecraft single player or server multiple player. 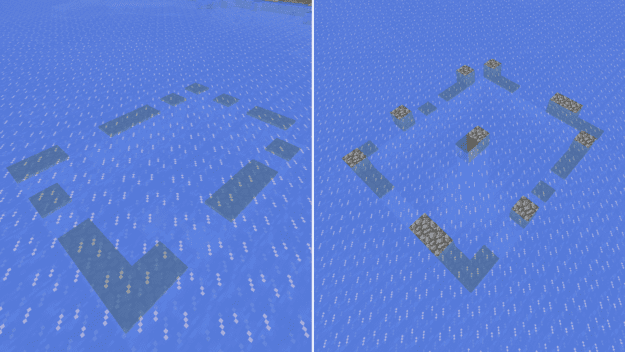 The Doomlike Dungeons Mod puts massive, randomly generated dungeons below the surface of Minecraft. It’s packed full of mobs, loot and hidden passageways. It’s dangerous but perfect for exploration and challenges. You’ll first need to find one and, while seemingly well hidden, its massive size will make you wonder how you hadn’t found it sooner. The path below is set within an arranged rectangle of cobblestone in a strange pattern. You’ll find a ladder or set of stairs leading far below ground or water. If you’ve ever played the classic game, Doom, you may recognize the homage to the levels generated in those days. You’ll see random gaps, pillars and passageways. But more importantly it is packed full of mob spawners so be sure to enter at your own risk and prepared. The latest update for the Doomlike Dungeons Mod ported it to Minecraft 1.7.10 and also added in range of new items.